Many TV stars have, in the past, been able to launch themselves into the realm of film easily and with great reward. These days, however, it does not appear to be as simple with hit TV stars equaling box office gold. Actors on television are constantly changing their images to accommodate the film industry. As a TV and film buff, there is nothing I like to see more than my favorite TV actors making a successful jump to film. This spring and summer will have many TV actors vying for the all-important box office smash hit that leaps them from small, relatively unknown actor to household name. These are the top five films that have the best chances of launching TV stars to film stars. Since 2010, Melissa McCarthy has brought us at least one comedy film per year. Most of her films have been absolutely hilarious, which is giving her an ever-growing fan base. However, she does not always hit it out of the park. (And yes, I am talking about Tammy.) Her first feature of the year is The Boss, which is about a disgraced executive trying to make a new name for herself after serving jail time for insider trading. Everyone always forgets that McCarthy got her break in 2000 with the hit TV show Gilmore Girls. She starred in all but one episode of the seven year run of the show. McCarthy then went on to star as the co-lead in CBS’s long running sitcom Mike and Molly (2010-2016), which is set to conclude at the end of the current season. McCarthy has been able to turn a strong TV career into an incredibly accomplished film career. Her eleven films, in which she plays a lead or major supporting role, have grossed $1.6 billion worldwide. Considering this impressive number, The Boss will probably do very well in theaters. McCarthy is the epitome of a successful transition from TV to film star. Her co-star, Kristen Bell, has been looking for the same success. Some may say that Bell has already found box office glory with Disney’s smash hit Frozen (2014). Bell has been a star of many cult classic TV shows, including Veronica Mars (2004-2007), Heroes (2007-2008), and Gossip Girl (2007-2012). She currently stars opposite of Don Cheadle on Showtime’s smash hit House of Lies (2012-present). With an impressive TV resume, it seems like a no-brainer that Bell would have triumphed in the film industry. But her only truly lucrative film was Frozen. She has had other lead roles over the years, but cannot seem to gross more than $100 million at the global box office. Forgetting Sarah Marshall (2008) was the only film she starred in to reach the $100 million mark besides Frozen and Couple’s Retreat (2009), in which she had a supporting role. The reason why I do not think Bell has gained box office success yet in film is because Frozen is an animated feature and the longevity of a film actor should be based on their live action work, not voice work. My prediction is that Bell gets the extra push she needs with The Boss. The film will draw a crowd due to the star power of McCarthy. I think Bell needs The Boss to have a solid box office run in order for her to make a better name for herself in the film industry. To me, having one mega-hit will not make us all remember Bell’s film work. For now, she is known for her TV characters, but this is likely to change if The Boss is deemed profitable. Starring: Keegan-Michael Key, Jordan Peele, Will Forte, Luis Guzman. The second film on this list is definitely the riskiest film. Keanu is the first lead role in a feature film for both Keegan-Michael Key and Jordan Peele, both of Comedy Central fame from their hit TV show Key and Peele (2012-2015). Both Key and Peele are known as being a comedy duo that produce countless viral videos. Their TV and Internet followers give them a good chance to succeed in film. However, their first film seems to be just as outlandish as they are. Keanu centers on a kitten that two friends lose and are determined to get back by posing as drug dealers in a local street gang. While the trailer looks quite ridiculous, this film could actually be the biggest surprise or failure in the near future. It could turn out to be as hilarious as their shows are, or it will be a disaster that tries too hard to get a laugh from the audience. The comedy may have a chance to cancel out the absurd plot, but only time will tell which direction this film is headed in. Unfortunately for Key and Peele, if Keanu flops, they will more than likely have trouble landing lead roles in upcoming films. Key has done many minor supporting roles in films, but has not really had any memorable performances. Peele has not made much progress in film yet, though he does have a voice role lined up for next summer’s animated feature Captain Underpants (2017). My guess is that both actors will be lost to voice roles and minor film roles if Keanu does not sit well with the audience. They will both definitely have long TV lives since they have proved successful in that venture. On the other side of things, Keanu could help Key and Peele start a good film run due to the other two stars of the film. Both Will Forte and Luis Guzman have made jumps back and forth from TV to film. Forte goes back and forth quite frequently, but is generally known for his TV roles. He was a Saturday Night Live cast member from 2002-2012, leading him to many other lead TV roles including his current series Last Man on Earth (2015-present). In the film world, Forte is best known for his work in the Academy Award nominated Nebraska (2013). Guzman, meanwhile, mainly does films, but has spent a decent part of the last year on two TV shows: Narcos (2015) and Code Black (2015-2016). 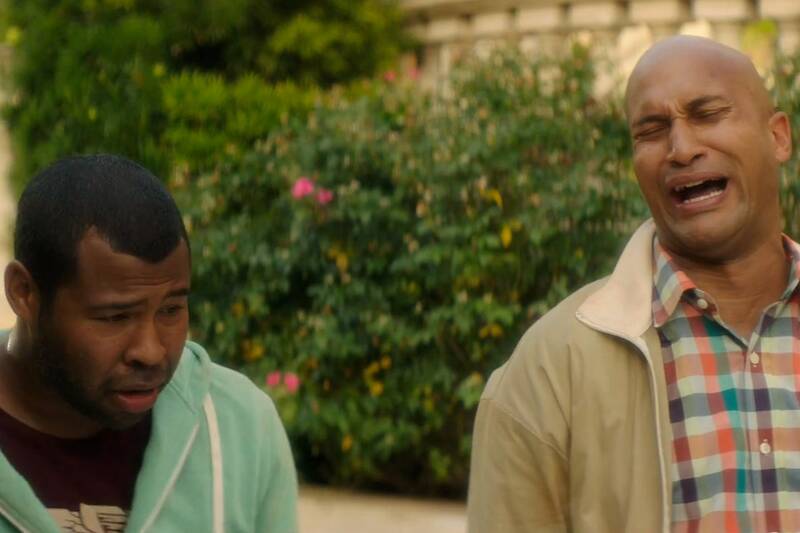 Key and Peele are likely to learn something from the success of their co-stars. My prediction is that Keanu will not be well received, but Key and Peele will eventually make their comedy come to life on the silver screen. One of today’s most popular TV stars is making his film debut in Michael Bay’s hotly anticipated Teenage Mutant Ninja Turtles sequel. It’s about time that Arrow star Stephen Amell finally landed a film role. Amell had many small TV guest roles from 2004 until 2012 when he was cast as Oliver Queen/Green Arrow on CW’s very popular Arrow. His four years on the show have resulted in an ever-growing fan base and appearances on spin-off shows. He is undoubtedly, if not the most, a highly popular TV superhero character. With all the praise he gets for his performances, it is surprising that he has yet to make his film debut. Amell will be playing vigilante Casey Jones, also from comic book fame. Since Green Arrow is also a vigilante, this role should suit Amell perfectly. The exposure for this film should be excellent considering the first film made $493 million worldwide in 2014. TMNT: Out of the Shadows should make more than its predecessor based on the fact that the new trailer looks better than the first film. Amell can count on box office victory due to an extremely recognizable brand, well-known director, and popular co-stars. Will Arnett and Megan Fox return to lead the live-action cast. Arnett is, of course, of TV fame from Arrested Development (2003-2013). Fox is widely known for her numerous film roles, including the first two Transformers (2007; 2009) films, which Bay also directed. After starring in three blockbusters, Fox will likely have another hit on her hands. Overall, fans have a lot to be excited for with the new TMNT film. June will be off with a bang, and so should Amell’s film career. Maybe this film could even convince director Zack Snyder to cast Amell in the upcoming Justice League films (2017; 2019) as the Green Arrow. Starring: Melissa McCarthy, Kristen Wiig, Leslie Jones, Kate McKinnon, Chris Hemsworth. Reboot + awesome cast + director Paul Feig = comedy gold in the new Ghostbusters film. Over the past several years, Feig has directed some of the funniest comedies, all starring McCarthy. This will be their fourth film together, so the bar is set high. After the success of Bridesmaids (2011), The Heat (2013), and Spy (2015), Ghostbusters should follow suit. It is hard to imagine that Ghostbusters will fail due to the popularity of the original. Thirty years later, everyone still knows who you gonna call. Obviously, some A-list heavy hitters were casted. McCarthy, Kristen Wiig, and Chris Hemsworth are all household names, even though Hemsworth is not known for comedy. Funny enough, all three actors made their acting debuts on TV, with Hemsworth starting in Australian TV, and then jumped to film. This is the goal for the other two stars of the film, Kate McKinnon and Leslie Jones. Both McKinnon and Jones are of Saturday Night Live fame, just like Wiig. SNL has graduated many of its cast members to large film careers. With McKinnon and Jones being casted in one of the largest blockbusters of the summer, they are in a good position to kick-start promising film careers. Jones had supporting roles in many films before landing on SNL in 2014, and McKinnon has had a few supporting film roles since her SNL debut in 2012. Both actors have yet to make an impact in the film industry. Ghostbusters will likely be the continuation of their comedy, but in film as well as TV. Starring: YouTube stars Roman Atwood, Vitaly Z, and Dennis Roady. In theaters, DVD, and available via digital download: April 1st. The final film on my list is in time for April Fool’s Day. All the other films were in chronological order, but I saved this one for last because of the unique cast. While the stars are not on traditional TV, they are some of the most followed and viewed YouTube stars. YouTube is the world’s leading new media content provider, behind social media sites. (We can argue whether YouTube is a social media site another time.) YouTube content creators use the platform to showcase standard short videos, their own TV shows, and their own films. As YouTube continues to grow, companies are looking for ways to incorporate new stars into traditional media sources. For example, the current season of CBS’s reality competition series The Amazing Race features teams consisting of popular, new media stars. To me, it is no surprise that Lionsgate is taking a chance on YouTube’s most followed pranksters. 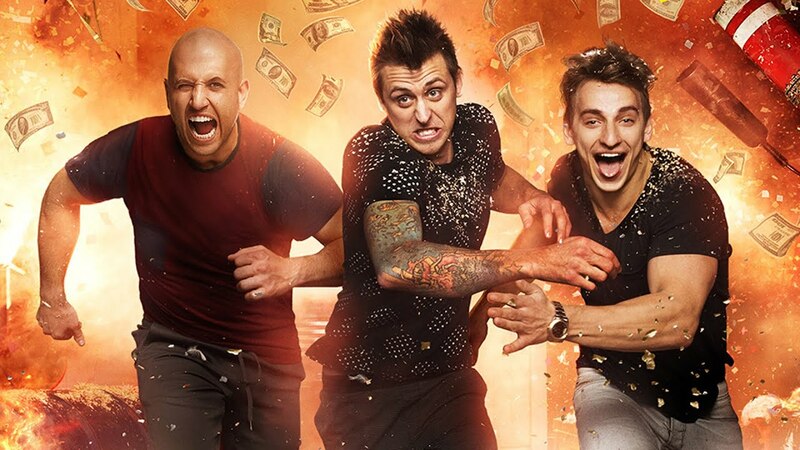 Roman Atwood, Vitaly Z, and Dennis Roady have amassed over three billion views for their prank videos. Their new film appears to be set up like the Jackass films where they pull off ostentatious pranks in front of unsuspecting people. Interestingly, Lionsgate is not doing a formal theatrical release for Natural Born Pranksters. The film will be in limited released on April 1st, and some theaters will only show it for one day. Lionsgate decided that the film would be most profitable if it was released across many platforms at the same time. Since the fame of the pranksters is online, the film will be released as a digital download on April 1st. It will also be released on DVD to cover the traditional ways of marketing a film. My prediction is that Natural Born Pranksters will be the most profitable on the digital download front. With their following being online, it would make sense that the exposure will be greater through instant downloads. If the film is downloaded and seen enough, I think we will be seeing a lot more new media stars hitting the big screen. The film industry needs to keep re-innovating its content to stay fresh and attract younger audiences. Maybe YouTube stars are the key to success. For now, it will be interesting to see the response to Natural Born Pranksters and if people really enjoy them enough to purchase a download. There are a lot of great films to look forward to in the near future. Hopefully, all the above films will do well enough to push our favorite TV actors to the next level. Keep checking back for updates on how each film and its actors are doing! Great job Julia - keep up the good work!!!! !